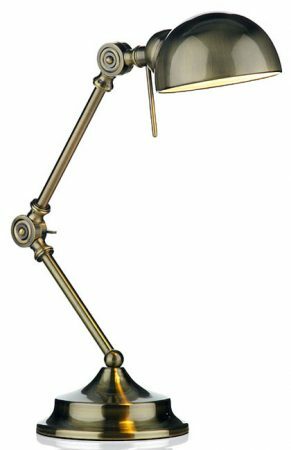 Wonderful antique brass fully adjustable desk lamp that would be a useful and stylish feature for the traditional desk top. From the Art Deco style lighting range, the Ranger adjustable desk lamp. A range of Art Deco style lighting with a matching floor lamp. Finding the right lamp for your desk just got easier with our wide selection of desk inspired lights. Whether you want a standard desk top lamp or prefer a clip-on lamp to shine down on your desk from above, we will have just the right one for you.